Cambridge Dental Implants Centre 7 days a week 0% finance. We welcome regulars, new patients and those with their own dentist elsewhere who just want Dental Implants Treatment. We offer integrated 3D CT X-rays and Dental Implants. We want to be as up front as we can about costs and timescales. Because we feel this allows our patients to plan their treatment. At each stage we will give you written confirmation and plans so that you know exactly what is going on. We offer the full range of implant treatments in Cambridgw. We offer an affordable option for the simple single unit Dental Implants. 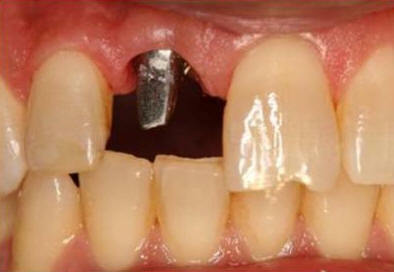 We also offer a simple solution for patients with no teeth and who hate their loose dentures etc. We offer the full range of implant treatments. 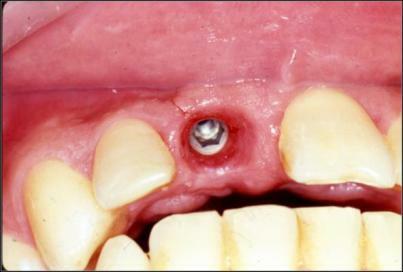 We offer an affordable option for the simple single unit implants. We also offer a simple solution for patients with no teeth and who hate their loose dentures etc. Cross Infection Control is a top priority right across the practice. We "Gown Up" for implants and all the Dental Implant team are very experienced. At each stage at The Cambridge Dental Implants Practice we will give you written confirmation Our implants team at The Cambridge Dental Implants Practice offers bone grafting/augmentation as well as Sinus Lifts in an ultra modern and safe environment. These are complex procedure and our clinical team has a vast range of experience. This first visit is a consultation and full dental examination including cancer screen. We always encourge patients to bring a family member or friend along. 2. Any other dental treatment that is required prior to having the implants. We will go through the treatment plans with you and answer any questions you may have. We then encourage you to go home and have a good think and perhaps do some online research. We usually give patients some extra literature to take home and read, including a consent form. 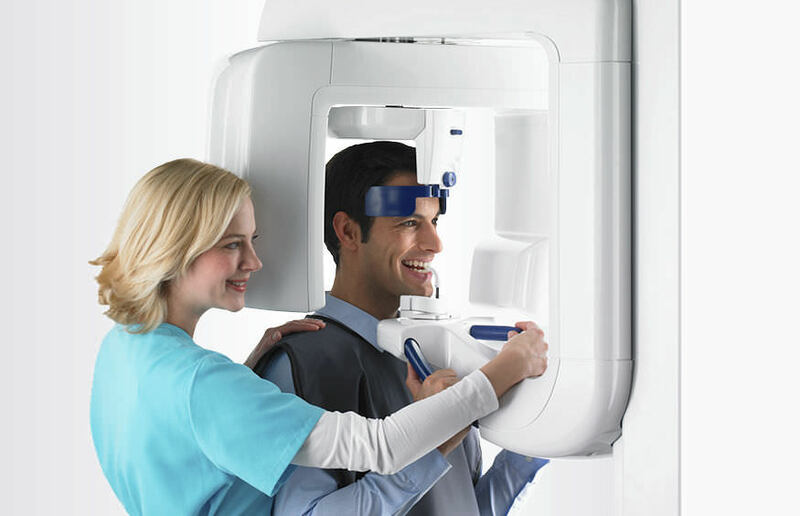 We actively encourage patients to bring any recent Xrays taken by another dentist. Why are our Dental Implant fees such great value? We know patients ring around and compare prices. We also know that even in Cambridge there is more that £1000 difference between the highest and lowest prices for Dental Implants. We also know from 35 years of providing Dental Care in that there is no real benefit paying the highest price you can. We use only the best Implants materials, and because we are such a successful Dental Implant Practice, we pass on the discounts we get from our suppliers. There are some differences of course. Some dentists use the premium all ceramic crowns (WE DO). Some dentists use the best Implant Systems (WE DO). We have our own CT Scanner. The very latest from Sirona. The CT X-ray Scanner (3D X-ray) is only £95 and is an essential tool in diagnosis. It allows us to see all the structures in 3D and thus avoid many of the complication associated with implant treatment. The cost of each CT scan is £95. If for example you require more than 1 implant, for example a different sides of the mouth, then you may need to have two different CT Scans. If we require 2 scans on the same visit, then we do not charge for the second scan. This is a considerable saving compared with most providers. The only time we charge for an extra scan is when they are done at different visits. We actively encourage patients to get a copy of their x-ray which they can keep and this can help to reduce radiation dosage. We can provide the x-rays either by email or in the case of CT scan on a USB Stick. This is a free service. So for example almost all Xrays are emailed to the patients at the same time that they are taken. 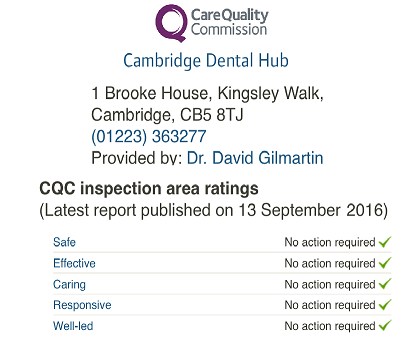 Why Chose The Cambridge Dental Hub Implant Practice? 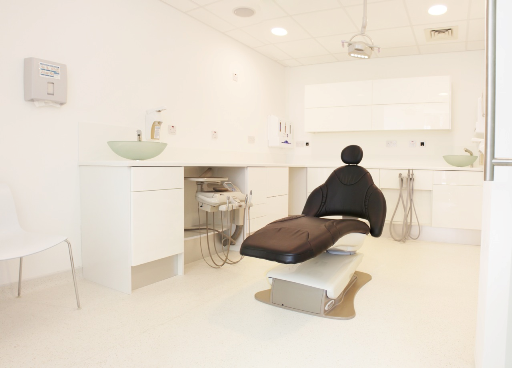 We are the an ultra modern Dental Practice in the heart of Cambridge. Our clinical team is very experienced, placing more than a 600 implants a year. 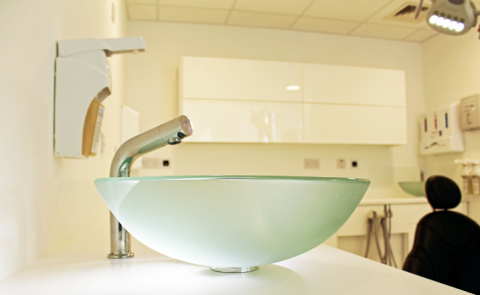 We are a modern state of the art practice situated in the centre of Cambridge. We are completely upfront about our charges and everybody gets a written treatment plan to take a way with them. We believe in being transparent about costs so we charge £1950 for a single implant, including the crown. If there is any additional charge, for example for a bone graft or the extraction of the existing tooth, then that will be billed as a separate item, and included in your treatment plan. Most patients have a range of dental issues, so for example we have dental hygienists working everyday. This enables us to offer combined check-ups and Hygienist visits 7 days week. For example, in addition to being a centre of excellence for Dental Implant treatments we have developed a centre of excellence for Orthodontic treatment and Root Canal Treatment as well. So whilst some practices offer just one type of implant, our practice offers a full range, because we know that no system is suited for all cases. In the last 2 years we have installed the very latest and safest digital x-ray imaging system and the very latest digital microscopy.